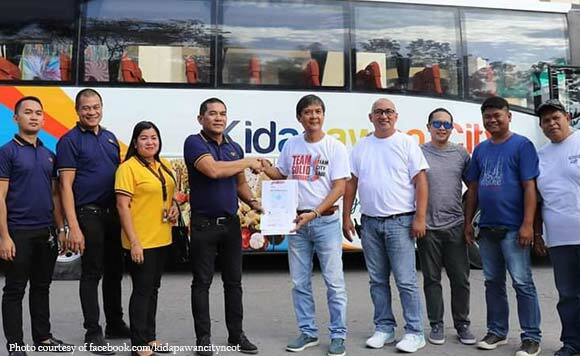 The city government of Kidapawan has received a bus, which its employees could use in the out of town trips. Mayor Joseph Evangelista thanked Mindanao Star Bus Line, which turned over the diesel powered bus to the city government during a ceremony Monday, February 11. “Ito ay katuparan sa matagal ng hangarin ng City Government na magkaroon ng bus na magagamit ng mga empleyado sa kanilang mga out of town trips,” the local government said. It said that the donation was also an expression of gratitude by the Mindanao Star to the local government for giving them space at the City Overland Terminal. The donated bus will be temporarily parked at the terminal while the local government is still looking for its permanent parking area.